Choosing new furniture for your living room can be intimidating. There are so many options! If you want to maximize seating then a sectional is a smart choice. But how do you know it’s the right choice for your home? Consider your space and think about how you use it the most. How do you want it to function for your family? What kind of flow do you want it to have? Think about how you would answer those questions then keep reading for five reasons your home might need a sectional. Your home has an open floor plan. In an open floor plan, you really have to define areas with furniture. A sectional is an easy way to do this and it anchors the living area. From there you can determine everything else the space will need such as accent chairs, tables and the right size rug for the space. Your home doesn’t have an open floor plan but it does have a large living room. Furnishing a large living room can be overwhelming. Don’t be tempted to push all the furniture up against the wall. Instead, consider breaking up the space with a sectional and creating another conversation area in the room. You like to lounge but you don’t want recliners. Being able to kick back and put your feet up is the ultimate in comfort. However, if you just aren’t into recliners then a sectional with a chaise is a super stylish alternative. 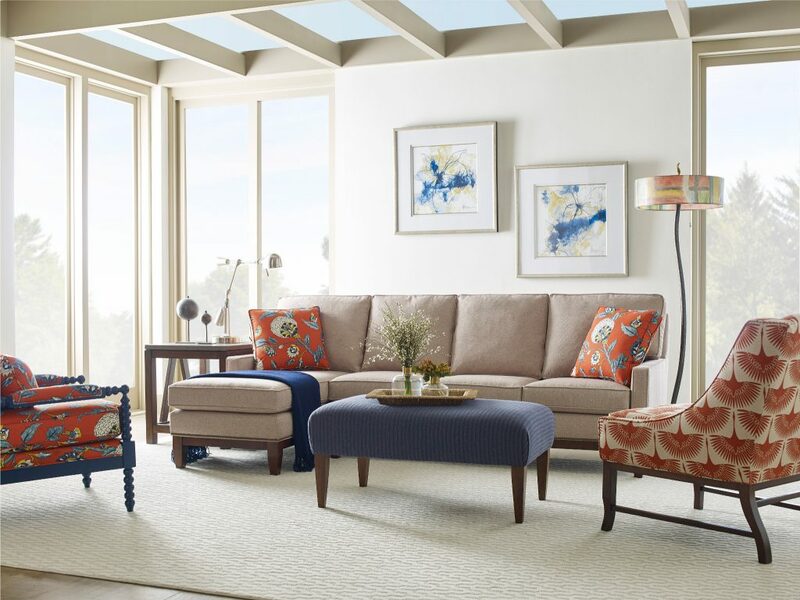 Make it even more comfortable and cozy by replacing your coffee table with a soft, upholstered cocktail ottoman. You have a big family. Everyone deserves a comfy spot in the living room. 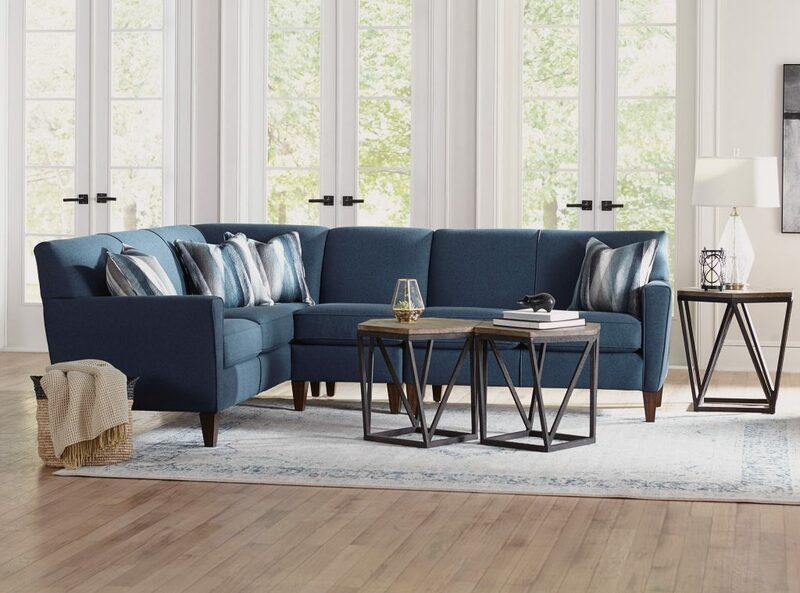 A plush and roomy sectional is the perfect place for the whole family to get together for movie night. And when you’re all sitting together there’s no competing for the best seat in the room. You like to entertain. If your home is the go-to for holiday parties and having people over for dinner then you should consider a sectional. When you maximize seating there’s room for everyone which means you can always be the one to host game night and make all feel welcome. 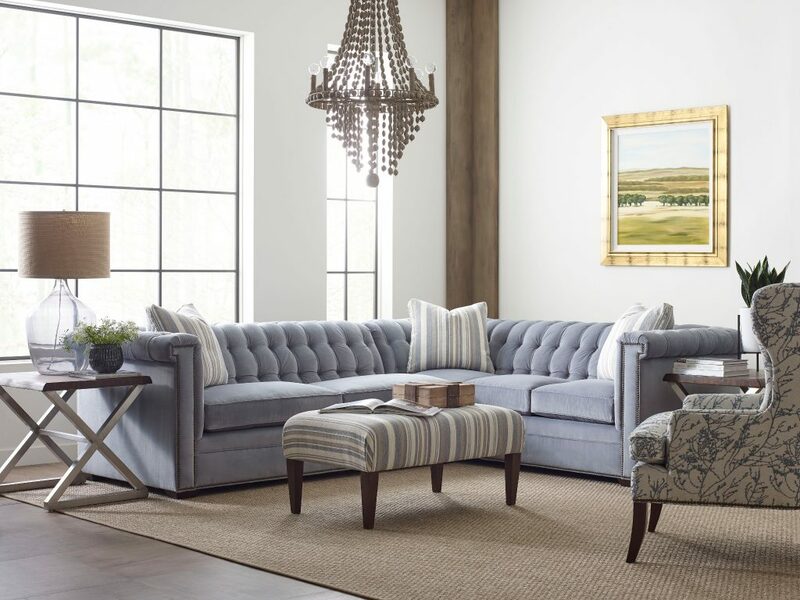 Have you been wondering if a sectional is the right choice for your living room? Then meet with our design staff to schedule an in-home consultation. We can recommend the perfect sectional for your space, from the style and size right down to the last beautiful detail. Visit our showroom to get started.